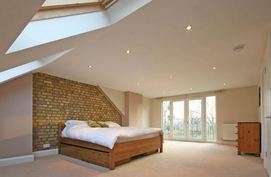 Liverpool Conversions specialise in all Loft and attic Conversions. Click here to call Liverpool Conversions. Our dedicated team have over 20 years experience of conducting high quality, professional and affordable loft conversions in Liverpool and the Merseyside area. We offer a fully comprehensive service that specialises in turning your loft or attic space into a beautifully designed, functional area, that gives you those extra space you've been after. At Liverpool Conversions we are very proud of our superior quality workmanship, and we endeavour to work to strict time schedules to ensure that your loft conversion is not only a quality finish but is finished on time. To arrange a free survey, or just for more information, please contact the experts at Liverpool Conversions today on 0151 380 0001 or complete the contact form on the right of the page. 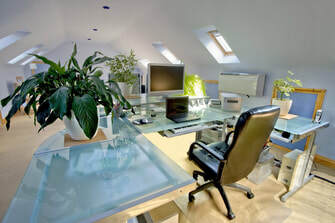 Is your unused loft a waste of valuable space? Are you are already struggling for storage space in your home? Here at Liverpool Conversions, we will fully convert your loft or attic space to help with your storage needs with fixtures and fittings that will dramatically enhance your property and create all the extra storage space you require at affordable prices. Our fully comprehensive service involves our highly experienced and skilled team working with you, assessing your individual specifications, requirements and tastes in order to design and create a conversion that accurately reflects your needs. We will work to strict schedules while ensuring that our low prices do not mean compromising on quality. You can expect a superior finish that’s completed on time and on budget. If all you want is a functional space to store some of your belongings, then look no further than the specialists at Liverpool Conversions. Give us a call today to arrange for a free survey at a time that’s convenient for you and you can see how we can improve your everyday life. Call Liverpool Loft Conversions on 0151 380 0001. If you have an eye for DIY and wish to complete the easier part of the loft conversion yourself but perhaps want the reassurance that the job is done well and done right, then this service is for you. At Liverpool Conversions we will carry out all the main structural work to our usual high standard, leaving only final fixtures to complete by either yourself or if you prefer, a third party tradesmen. • All Velux windows, Juliet balconies, french doors. Note: With a part/shell conversion, you will need to fit tri-iso 10 insulation (we can provide you this at a discounted price) plaster and plasterboard, electrics, plumbing and final fix joinery as well as fire doors. Don't forget Liverpool Conversions are here to help you through the entire process from start to finish, so give us a call on 0151 380 0001. As the customer, you can add or take away any of the above to help you to control your budget. properly registered to satisfy building regulations. Q. How long does a loft conversion take? A. The average loft conversion will require new points of access and may also require the fitting of new en-suite facilities. We will ensure that all builds are in alignment with necessary legislation. Depending on the size of the loft and the amount of work involved, the average loft conversion will take between 4-8 weeks. Q. Can every loft be converted? A. No. Not all loft or attic spaces can be converted into a living area. This is one reason why we recommend a FREE, no obligation survey by one of our architectural advisors who will be able to assess the possibilities of the space and explain the options available to you along with the potential costs involved. Q. How much does a loft conversion cost in Liverpool? A. Each loft conversion presents a wide number of variables, which is again why we at Liverpool Conversions highly recommend that you take advantage of the free survey before issuing a complete quote. This not only enables us to provide you with the best price possible by accurately assessing your individual requirements and design preferences but also offers you the opportunity to ask us questions about the whole process. Liverpool loft conversion with ladder at the lower end of the market. Liverpool loft conversion with ensuite are popular. Liverpool loft conversion with velux windows always a favourite. Liverpool loft conversion with bathroom dependant on the size. Liverpool loft conversion with dormer cost slighty more. For more information call Liverpool Conversions on 0151 380 0001 or complete the form on the upper right-hand side, and we'll be in touch to arrange a suitable time to visit. My cousin has also started a new Loft Conversion Company in Sheffield in case you have any family in Yorkshire that may be in need of a Conversion.